Enjoy an evening of great entertainment at The Devon with a tasty assortment of refreshments during the show! The Devon operates concessions—featuring snacks and drinks for purchase, including: nachos, pretzels, popcorn, candy, chips and other snacks, plus Pepsi products, water, soda, beer, wine, and more! Visa, Master Card, American Express and cash accepted. No outside food or beverage allowed inside The Devon. We appreciate our local concession partners including Heinkel’s Packing Company who has been producing delicious, superior quality, award-winning fresh and hickory smoked meats and poultry since 1912 right here in Decatur! 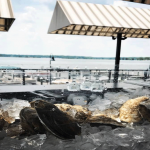 Heinkel’s will be providing their turkey legs, polish and wieners to The Devon this summer! 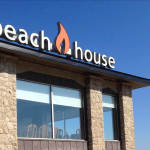 Just around the corner from The Devon and a stroll down the boardwalk, you can visit The Beach House Restaurant. 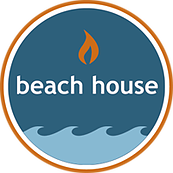 Serving lunch, dinner and drinks, The Beach House features signature dishes with hand cut steaks, fresh seafood and an oyster bar. 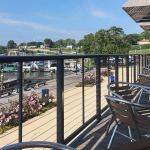 Enjoy dinner and drinks before the show with lakefront dining on beautiful Lake Decatur! 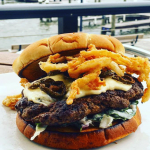 Food trucks will be on site at The Devon and will offer various selections throughout the season. Food trucks will vary by date. Trucks from Mister Softee, Allen’s Concessions, Pig Out Concessions, Notorious PIG BBQ and Mad Dog Concessions are already scheduled. 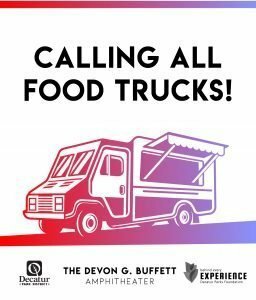 Own a food truck and have interest in being onsite at The Devon on show nights? Contact Mike Wilcott, General Manager, at mwilcott@decparks.com or 217.422.5911.